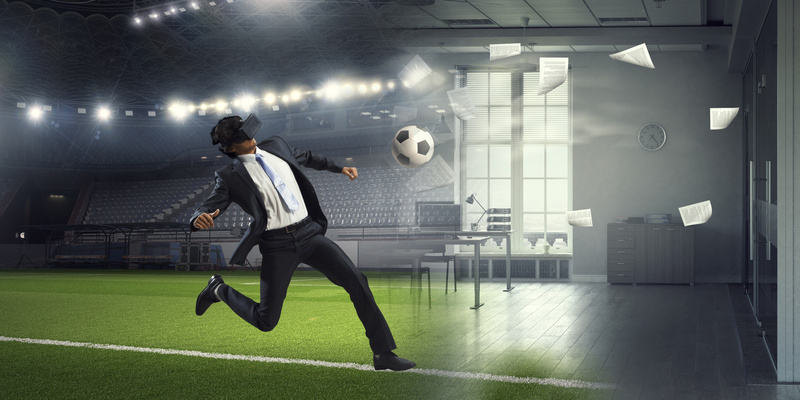 For some years now, terms such as Virtual Reality (VR) and Augmented Reality (AR) are widely known by the population; in some environments, some of these technologies are part of their daily life. 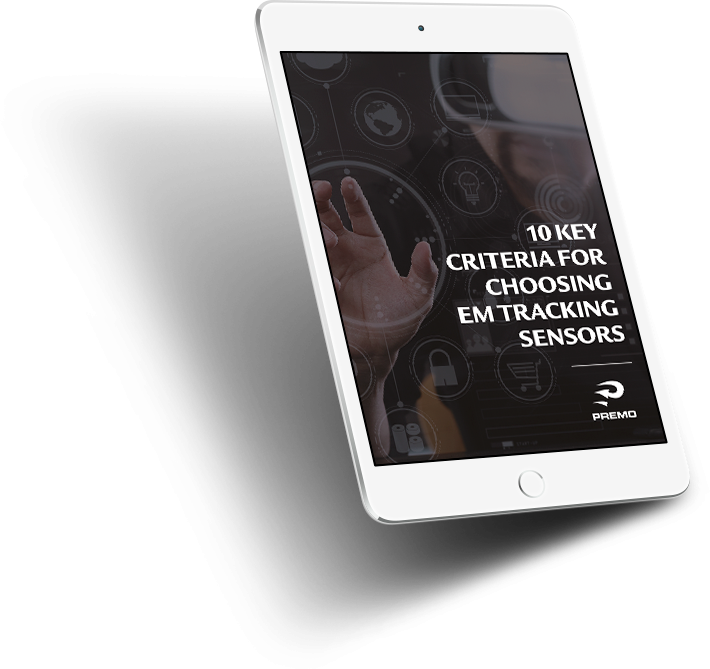 Technologies that emerged with the main goal of becoming an entertainment feature, are now enabling many other aspects in our lives, for example, training within dangerous environments, education, medicine, and many other. Statista, a statistics website, offers forecast for the global AR and VR market from 2016 to 2022 in US$. 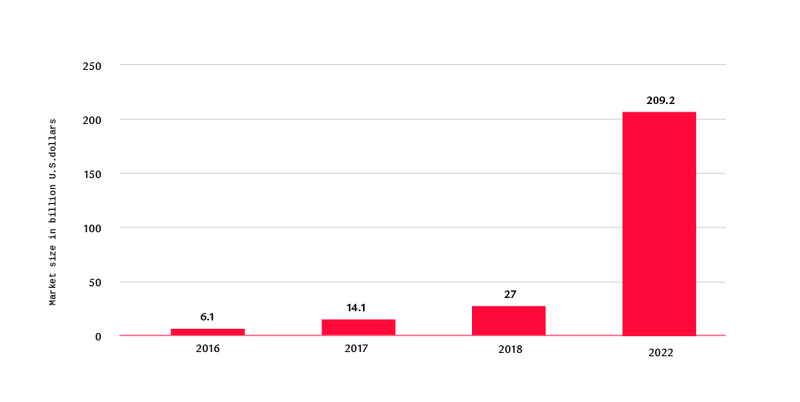 We can see a relative increase from 2016 to 2018, but the outlook states that in 2022 the market will be eightfold when compared to 2018. Because of this growth of technology usage in the next years, a wide spectrum of commercial possibilities arises. The terminology in this area is also evolving and now a new term is familiar and will be a major leap in the use of technology to better understand people, products and processes in the real world. Extended Reality (XR) is a new term added to this terminology. According to medium.com, “It refers to all real-and-virtual combined environments and human-machine interactions generated by computer technology and wearables.” This term includes any technology involving reality and virtual reality: Virtual Reality, Augmented Reality and Mixed Reality (MR). In other words, it spans from the completely real to the completely virtual. The term Extended Reality aims to encompass all the terms used until now, thereby unifying its use and expanding its meaning to include all kind of coexisting “realities”. Its usage depends on the specific needs of the application to be developed. For this new topic to be better understood, it is necessary to analyze some of the technologies included in the XR expression, its differences and its main usages. What does this technology mean and what can we do it? In previous articles we talked about the difference between Augmented Reality and Virtual Reality. 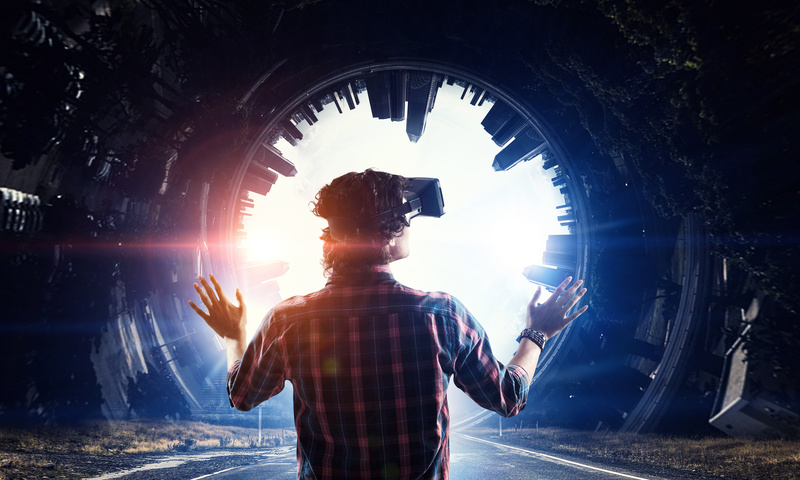 In this article, we would like to review the fundamentals of each technology, the meaning of Mixed Reality and what we can expect from Extended Reality. 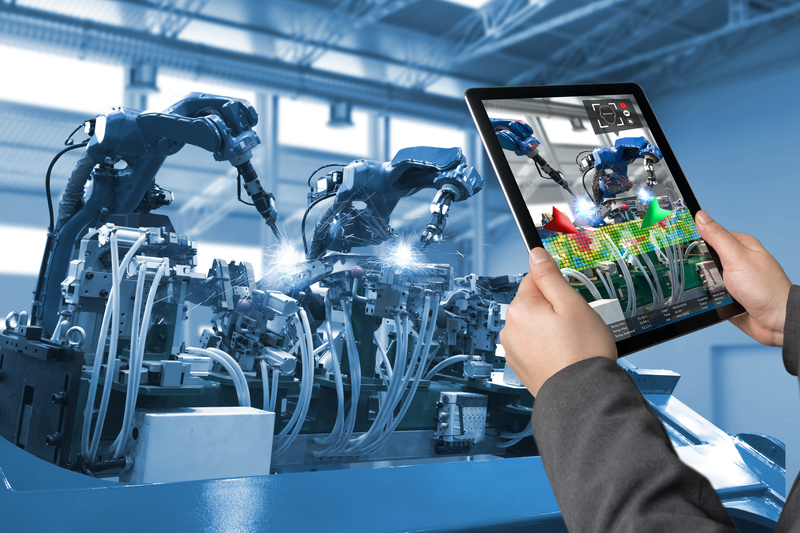 The main goal of Augmented Reality (AR) is to power the real world with virtual elements, whether they are virtual 3D models, images, videos or sounds. It is an overlay of digitally created elements or information on top of the user’s physical environment. For this end, we need devices which include a camera, a screen and a processor. The camera can capture the real world where the user is moving, the screen can show an augmented image of the real world with synthetic information and the processor will run an application able to know what to do with real and virtual images. The most widely used devices for AR are smartphones, tablets and headsets, some of which use the mobile as screen; others enable you to see the real world directly through the glasses by projecting virtual information on top of the real one. There are several types of AR applications, according to their use of markers or geolocation. Depending on the environment, the purpose, and the objective user, it is important to select the correct type of AR and the device to be used. AR can be very interesting for environments where we need to complete, amplify or provide information about our environment or about certain real objects. It is the best technology to train people in specific tasks, to provide helpful information in order to develop certain complex activities, for education, to enable damaged or incomplete art objects to be displayed in museums and also to set certain rooms before buying the furniture, by means of a smartphone or tablet – as in the IKEA Place App. Areas such as tourism or advertising are also relevant prospects for AR technology to draw the attention of customers and users. Mixed Reality (MR), also known as hybrid reality because it is based on the combination of real and virtual objects which coexist and interact in real time. This technology creates mixed environments where virtual objects can react to real objects in the physical surrounding world. It represents one step beyond Augmented Reality in the way towards the Virtual Reality scenario, but still including the physical world and real objects as a basis. 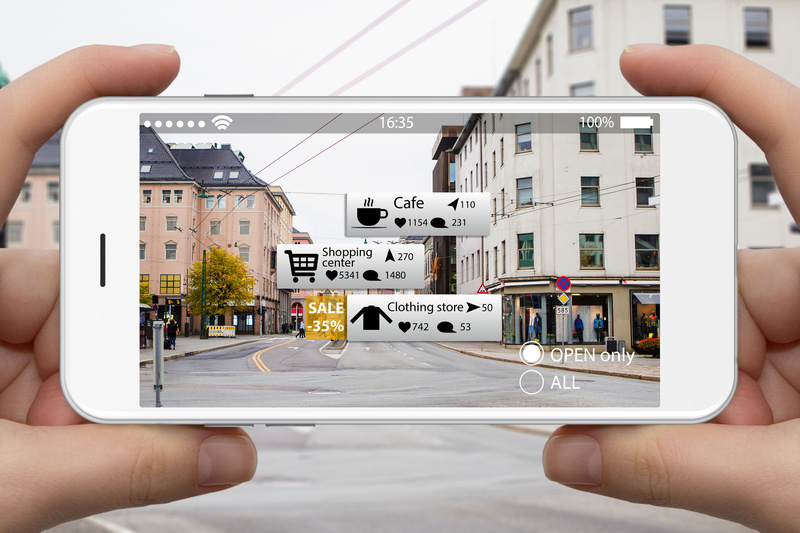 Applications are similar for MR and AR, including the possible interaction between real and virtual elements. It is a widespread technology in games – where the player can interact with the virtual elements appearing in his/her real surrounding –, education, training, healthcare and so on. VR is a technology that allows you to be immersed in a completely new experience, a virtual environment where you can move, feel and interact through specific devices. The user is completely isolated from the real world and immersed in a synthetic one where a person can feel as being there. Using virtual reality headsets, the user can feel inside a computer-generated environment with realistic sounds, images and other elements that tries to replicate a new fictional environment. The list of environments where VR are used or can be used is very long: business, healthcare, fashion, sport, education, entertainment, media, film, construction, science, treatment for phobias, and many more. 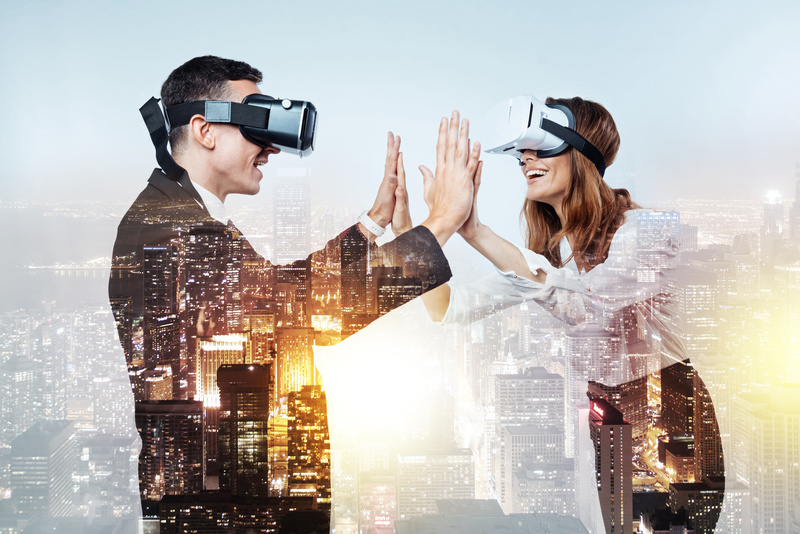 The low cost of new VR headsets enables this technology to be affordable for everyone, from people in their house to enterprises; all can feel the immersive experience of a virtual environment – with different degrees of immersion. And what about Extended Reality? 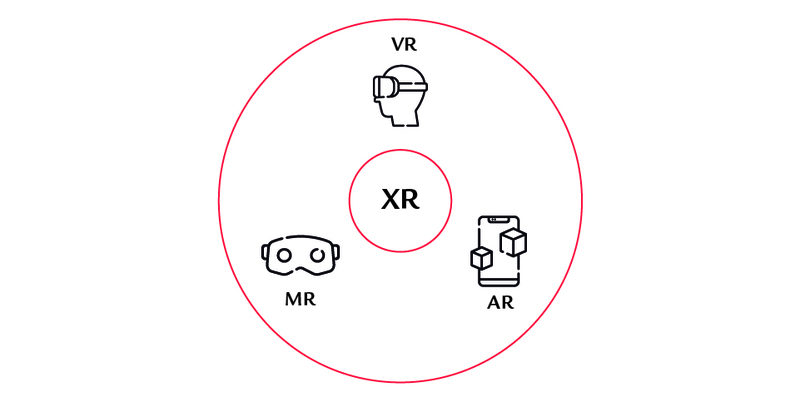 As explained before, XR is a superset of technologies, a term that includes all the previously defined variety of realities, where it is possible to mix real objects and virtual one in different degrees to offer a wide variety of user experiences. ⦁ Improvement of customer interaction. By selecting the correct variety of technology, XR offers the possibility to create new ways to connect emotionally with their customers, bringing brands closer to people. For example, an AR application enables a vehicle to be identified in your own home, both outside and inside, allowing you to check its features and compare between different models of the same brand. And with a VR application and a headset you can visit places existing in the real world or attend specific events as if being there, without leaving your home. ⦁ Better connection with employees. These new technologies allow bit teams to be interconnected from all over the world in a more effectively and direct way. This can bring distributed teams to work together in very complex tasks, in real time. 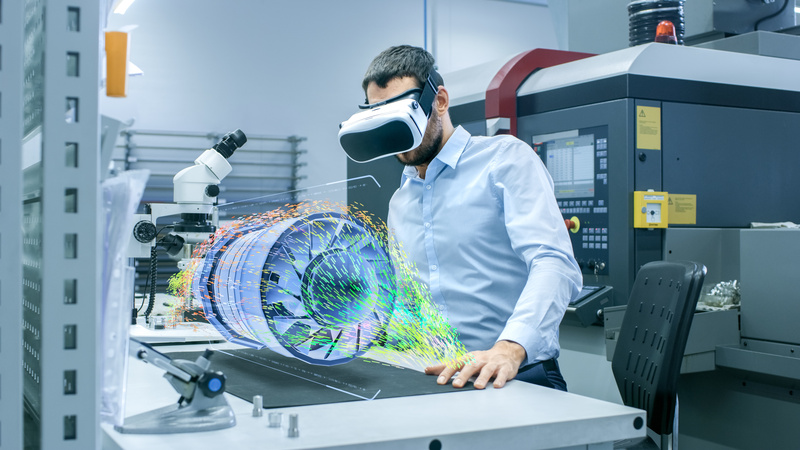 Also, XR helps employees to develop of complex services and enable skilled workers to connect with engineers in the field. AR allows also technicians to correctly perform complex repairs in a very efficiently way through precise instructions seen through the device’s screen, which can be overlapped on the devices and machines to be repaired. ⦁ Training in safe places. When an employee needs to learn about potentially dangerous tasks, XR can help for a safer training. New technologies, such as VR or AR, can be helpful to implement harmless environments, so errors in their decisions and actions do not pose a danger to their lives. ⦁ Contextual and accessible information. XR can offer relevant information everywhere, not only to companies, whose employees can receive information about a machine directly over it, but also for other purposes such as tourism and advertising. In these areas, people can see directly on top of the street image, information about tourist routes in the cities, visiting hours for monuments, places to eat with information about prices, offers, menus, and so on. Considering the benefits offered by XR to the companies, we can also guess the benefits for the population. Easier communication capabilities, information always available and easily accessible, safer trainings in risky jobs, and more. We can highlight from this review, thanks to the evolution of technologies, a higher capability for companies to create XR-based sophisticated applications for some purposes and the availability of devices at affordable prices. These devices can support those applications –smartphones, headsets, tablets, etc. – and, in the near future, we will experience a revolution in the use of all those realities that make it easier for us to interact, learn, work, know and even buy.